Deanna Singh, 2015 Winner; Derek Mosley, 2014 Winner; Katie Maloney Perhach, 2016 Winner. 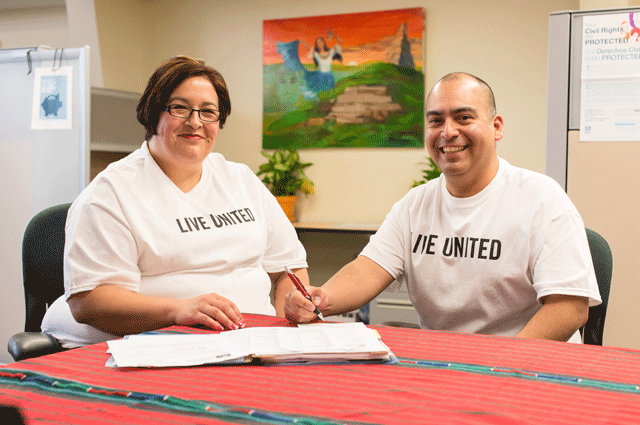 United Way fights for the health, education, and financial stability of every person in every community. Each year, United Way’s Emerging Leaders recognize five people who fight for a better community through the Philanthropic 5 awards. Nominate a community fighter below and let us know: what are you fighting for? Nominate someone who fights for a better community for the United Way Philanthropic 5 Award. Take action today: volunteer to impact the issues you are passionate about. Gina Sanchez of La Casa de Esperanza helps Jose plan for his financial future so he can support his family and go back to school. What would you do with an extra $265 per month? This is the average amount that a low- to moderate-income family can increase their income when they take advantage of the Earned Income Tax Credit (EITC). "We have a tax client, a single mom with 4 children, working full-time, who used the EITC credit to pay for her children to participate in extra-curricular activities at school and to finally take a family vacation," says Gabriella Allen, coordinator of the Volunteer Income Tax Assistance (VITA) site at La Casa de Esperanza. In fact, this busy mom has had so much success with the EITC that she is now using the extra income to start on the path to home ownership. Listen to the rest of the story here. Do you know someone who could benefit from the EITC or free tax preparation services? Advocate and help bring families out of poverty by sharing information about these valuable resources. Access and share information about the EITC and VITA tax programs. 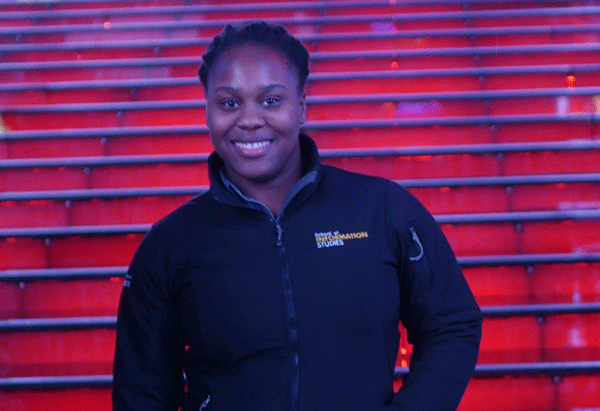 When UW-Milwaukee student Katrina Hightower volunteered to be a guide for high school attendees of the 2016 IT United Career Fair, she enthusiastically took advantage of the many potential career opportunities: "It was an awesome experience... right after the interview (with ManpowerGroup) they said I did so well that they gave me the job on the spot." Since last year, Katrina has had her temporary position with the IT department at ManpowerGroup extended through May 2017 and is currently seeking full-time employment in the IT sector. Katrina continues to mentor students through the IT United job shadow program. "I tell them don’t let anybody stop you. Don’t let your gender, your race, your religion, even your parents, hold you back from your passion." Volunteer for the 2017 IT United Technology Career Fair. IT United Members! Join us for the 2017 IT United CIO Forum. Are you an IT Professional? Learn more about how you can help unlock a student’s potential for success in the IT field. 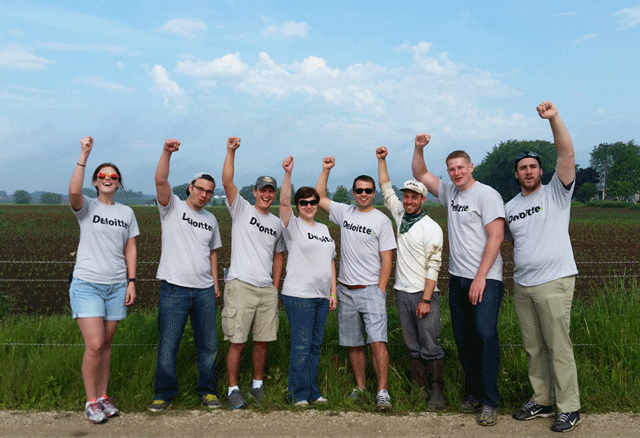 Deloitte employees volunteering at Fondy Farm during their 2016 Day of Impact, organized by United Way. Deloitte LLP U.S. and United Way have signed a two-year agreement deepening our relationship and shared commitment to developing employees and strengthening communities. Read the rest of the announcement here. Do good while you shop! Stop by United Way’s booth just outside Boston Store to pack a healthy breakfast kit for a local family to enjoy this winter season. No registration required; all ages welcome. Help students pick out free books at a Scholastic book fair to build their home library. It’s that easy! Learn more and sign up. Join us for breakfast, networking and a panel discussion with our community’s leading Information Technology experts. Learn more and register to attend. Click here to purchase tickets. Enter the code UNITED at checkout and $5 of every ticket sold will benefit United Way’s Community Fund. Did you donate to United Way this year? 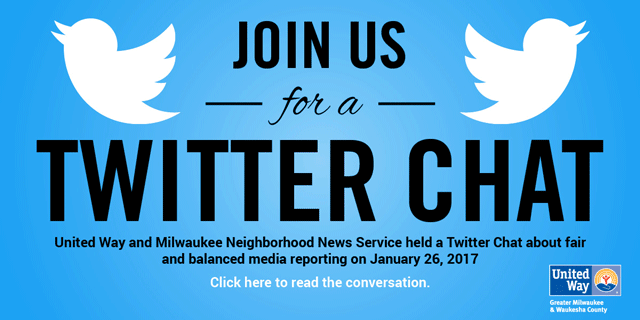 Come to our Annual Meeting to get the latest update on the impact your investment is making in our community. RSVP Here. Want to volunteer but don’t have much time? United Way will debut and highlight a number of different ways you can volunteer online from the comfort of your own home. Follow United Way GMWC on Facebook and @UnitedWayGMWC on Twitter for more information.